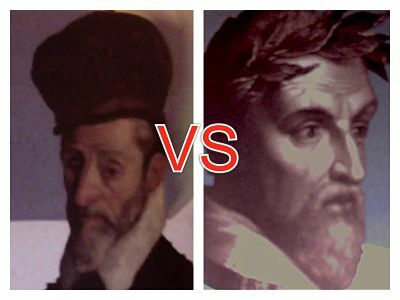 The significant differences that exist between the poetics of Torquato Tasso and Ariosto are advocated primarily in different historical contexts that characterised the two poets. He lived in a particular historical moment rate, the Reformation period (governing cultural climate). 1. License to Musa asks rate, a figure of inspiration, While in Ariosto that figure is non-existent. 2. Badger has a ’ work with sacredness and some divine presence, in Ariosto is absent. 4. Exchange bases its work on a narrow topic and a historical argument (fantasy party), While Ariosto serves a broad theme and is based on the literary world. 6. Rate suggests the epic poem (with model Iliad and Odyssey) While Ariosto on poem of chivalry. 7. Finally, there is a strong sense of orthodoxy and Rate a great attempt to remain in the literary rules laid down all ’ time (the poem was supposed to be able to stay in the canons of the Counter Reformation). Rate undermines the principles of balance and symmetry adopting formal peculiarities based on syntactic inversion of order ’ and ’ on the break of the parallelism between the syntactic and metric units. He proposes a style sublime formed by ’ use of rhetorical figures of various kinds, quotations from the classics (Virgilio,Dante,…), syntactic and rhetorical devices-dell ’ rupture syntactic units (disharmony harmonica). Second rate poetry must be the likely, or what might have happened in those circumstances (While the historiography is the true). Rate may thus be considered the first great Italian writer along with Giovanni Battista Guarini.